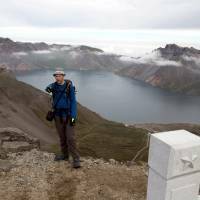 MOUNT PAEKTU, NORTH KOREA - Foreign tourists looking to go off the beaten path in North Korea can now camp out on the country’s biggest volcano. 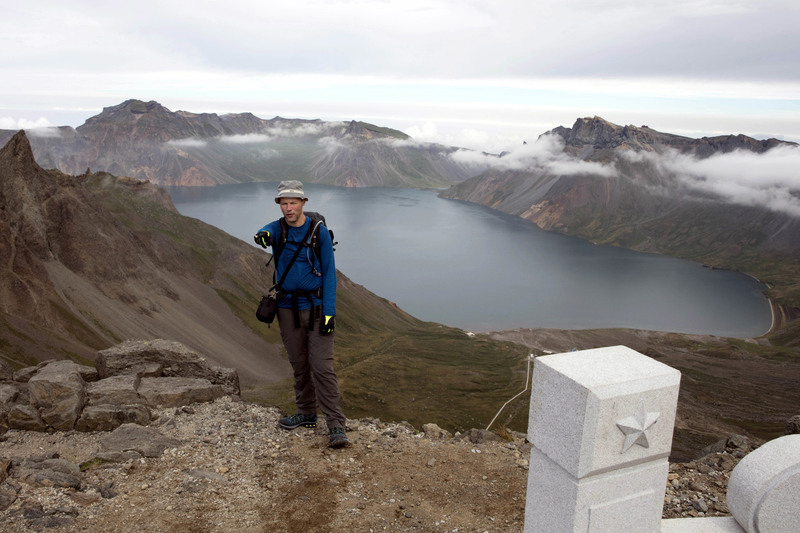 Hoping to open up a side of North Korea rarely seen by outsiders, a New Zealander who has extensive experience climbing the mountains of both North and South Korea is leading the first group of foreign tourists allowed to trek off road and camp out under the stars on Mount Paektu, a huge volcano that straddles the border that separates China and North Korea. In 946 A.D. Paektu was the site of one of the largest eruptions in history. It is considered one of the most beautiful natural sites in North Korea and is still active, though there have not been any big eruptions in recent years. It’s revered in the North for its links to the ruling Kim family and is considered the spiritual home of the Korean revolution. 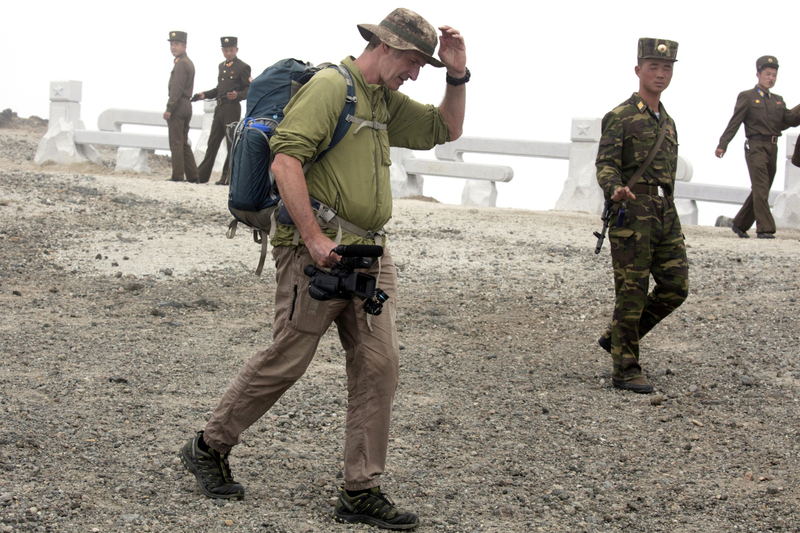 Trips to the mountain are popular with North Koreans who visit with their schools, work units or other social groups on excursions that are part indoctrination and part recreation. It is also popular with Chinese tourists and smaller foreign tour groups who can stay in nearby hotels and drive right up to its crater to see the blue waters of Lake Chon in Paektu’s caldera. But Roger Shepherd, founder of Hike Korea, which is based in South Korea, managed to convince North Korean government officials to let him take his guests off the beaten path for the first time. The area around the mountain features several reconstructed “secret campsites” said to have been used by national founder Kim Il Sung and his guerrillas in the fight against Japanese colonial rulers before 1945 — a possible reason why the idea of allowing a foreign camping excursion clicked with the local authorities. But Shepherd’s group has for the most part managed to avoid the typical mini-bus and propaganda lecture experience that often awaits foreign tourists visiting the country. 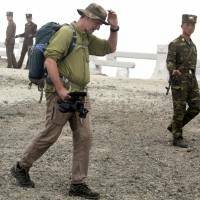 North Korea under leader Kim Jong Un has placed high priority on developing its tourism industry as a source of much-needed foreign currency and as an industry that can be fairly closely controlled and monitored. It is currently carrying out massive infrastructure projects in several locations, including at Samjiyon, the largest city near Mount Paektu, and in the eastern port city of Wonsan and the adjacent Mount Kumgang area, which was open to South Korean tourists until around 2008, when a South Korean housewife was shot and killed for wandering into a restricted area.